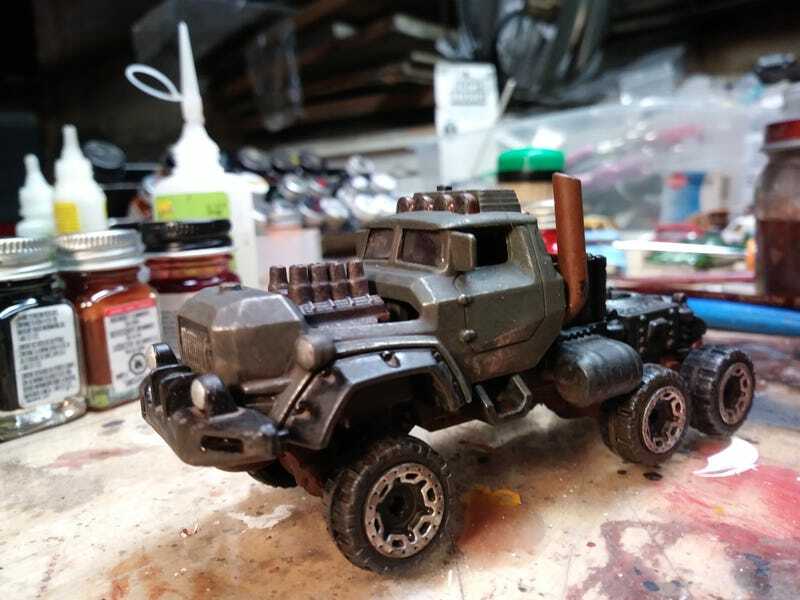 Hot Wheels sells a War Rig. All i did was strip and paint this. I was going to modify it, but i think that would be gilding the lily.